Being emotionally resilient in the world of business is a fundamental trait of successful entrepreneurs. Having the ability to hold your nerve, get up when you’ve taken a knock, and keep moving forward are all essential to your overall achievement. Celebrate everything you do as a fantastic mum! You really are special. Enjoy Mother's Day and remember you are a magnificent mum! Take this rare opportunity to enjoy a day of relaxation with your family! Wishing mums across the world a wonderful Mother’s Day! Enjoy Mother's Day and remember you are a magnificent mum! Take this rare opportunity to enjoy a day of relaxation with your family! De-cluttering is often in the forefront of many mums’ minds as springtime approaches. No matter what time of year it is, lives are still busy, routines are still hectic, so here are five super simple space saving solutions for your home! Starting your own business and becoming self-employed takes guts! Not only that, it takes a real determination to succeed. It isn’t surprising so many people shy away from the prospect. Why, therefore, do so many entrepreneurs run successful enterprises? It is down to their ability to overcome the many self-imposed obstacles and limitations that hinder the efforts of other people. Here are a few tips to help you become a successful mumpreneur so you can start enjoying the rewards of your business goals. Is Clutter Taking Over Your Life? Is constant housework driving you crazy? Do you wonder how much stuff has accumulated in your home? Does your clutter cause stress and anxiety? How would it feel to organise your home, clear your mind and banish clutter for good? De-cluttering your home is the best way to bring order to your surroundings and your mind! Is constant housework driving you crazy? Do you wonder how much stuff has accumulated in your home? Does your clutter cause stress and anxiety? How would it feel to organise your home, clear your mind and banish clutter for good? We’ve Been Nominated & Shortlisted! 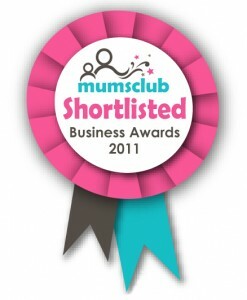 Tracey is thrilled to announce that she has been nominated and shortlisted for a Mumsclub Business Mum Award! The 4th annual awards are sponsored by MyFamilyClub and will be held on 8th March 2012, International Women’s Day! We’ve Been Nominated And Shortlisted! Welcome Claire Brummell, founder of Feminine 1st. Claire has kindly offered to write a guest blog for Empowering Mumpreneurs, to help you harness the power of blogging for business success! Do I really know enough about this to help others learn? Who would want to listen to me?